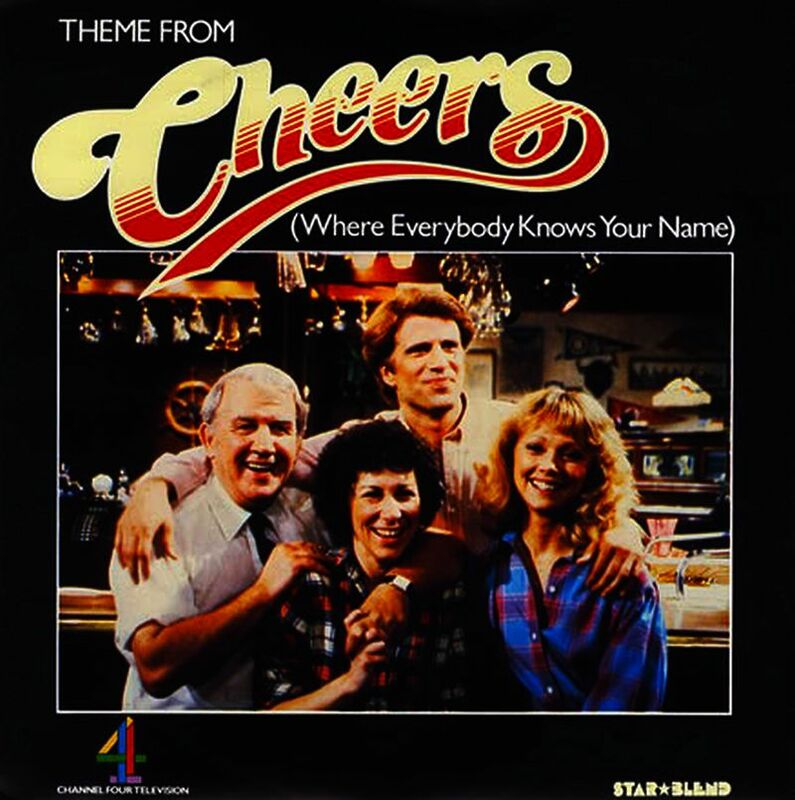 The Evolution Of ‘Where Everybody Knows Your Name’: The Theme From “Cheers”. I’m a sucker for demos. I like to hear a great song come together. Who the Hell wants to hear dozens of static filled demo recordings and then sit through 58 takes of ‘Strawberry Fields Forever’? Me. That’s who. I love that stuff and today we’re gonna take a look at a song which is even better than ‘Strawberry Fields Forever’, The Theme From “Cheers”. Or as it was originally titled, ‘My Kind Of People’. But let’s go back to before even then. By 1981, New York songwriter Gary Portnoy had already written songs for the likes of Air Supply (“I’ll Never Get Enough”) and Dolly Parton (“Say Goodnight”). One night in the summer of that same year, his friend Judy Hart happened to be seated next to a Broadway producer at dinner. Upon finding out that Hart was working for a music publisher, he asked her if she could recommend someone to compose the score for a new musical he was producing. On a whim, Hart, who had never written a song, approached Portnoy, who had never written for the theater and, together, they set out to compose the words and music for the musical named Preppies. In the spring of 1982, Judy (now using her full married name) Hart Angelo sent a tape of Preppies’ opening number, “People Like Us”, to a friend in California, who then passed it on to television producers Glen and Les Charles. Upon hearing it they each felt that, with a lyric re-write, “People Like Us” would be the perfect theme song for their upcoming NBC sitcom Cheers. 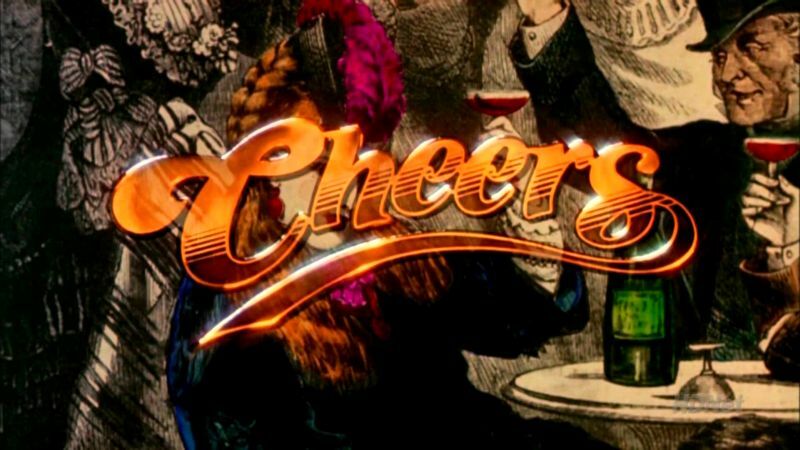 Upon learning that “People Like Us” was legally bound to the musical Preppies, the Charles Brothers asked Portnoy and Hart Angelo to take a shot at composing a theme specifically for Cheers. The song that resulted, “My Kind of People”, was somewhat of a reworked version of “People Like Us”. It was subsequently rejected. it’s a crisis in your life. After several months of mulling over possible outside singers, the producers eventually asked Gary Portnoy to record the vocal for the opening credits of their new series. (The chorus of the song is six of Portnoy’s vocals that he recorded one on top of the other to create the “group sound” of the hook.) It was also decided to maintain the simple feel of the New York demo in the TV version by keeping the number of instruments to a minimum. The final Cheers Theme was recorded on August 13, 1982 at Paramount Pictures in Los Angeles, California. Where Is Rik Mayall? …Oh Wait, There He Is! Ah, I’m so pleased to see his insane face again! Click HERE to see just how excited I actually am! THE boys from Bottom are back in a new show which sees Rik Mayall and Ade Edmondson revive their cult characters Richie Rich and Eddie Hitler. (Actually, it’s Richard Richard and Edward Elizabeth Hitler. Get it right Marion McMullen of The Coventry Telegraph!). The pair have swapped their filthy flat for the sandy shores of a tropical island in the six-part series. The show, called Hooligans Island, will be on BBC2 next year. It is one of a series of new comedy commissions announced at the Edinburgh International Television Festival, including David Mitchell and Robert Webb in Our Men. The show, billed as a comedy drama, stars Mitchell as the British ambassador in the fictional country of Tazbekistan and Webb as a devious diplomat. Another show sees Father Ted writer Graham Linehan team up with Steve Delaney to bring the comic’s creation Count Arthur Strong to television. The character, a pompous self-styled showbusiness legend, will feature in six half-hour episodes. How To Cope With Death. “The Tannery” By Iain Gardner. “The Tannery” is a short 2D animation film by Edinburgh animation artist Iain Gardner. I caught it on TV by sheer chance a few months ago and it impressed me so much that I was kicking myself for days later because I didn’t record it. At under 10 minutes, “The Tannery” is a really short film and because it aired at 3am, I wrote it off as one of those amazing little films that you only manage to see once and then never again. Good old Channel 4 aired the film once again and although it still had the same graveyard slot, I stayed up and enjoyed it all over again. I even managed to record it and I’ve been playing it for anyone who comes to visit me. It’s hard to explain the film’s simple plot without completely ruining it for you but stick with me, we’ll get there. “The Tannery” is the story of a young fox in the snow who one day gets his brains blown out by a huntsman and instead of being no more, the fox becomes a spirit and continues on his merry way through the afterlife. …Well, that’s as much as I can really tell you but the ending of the film could give the ending of “The Sopranos” a run for its money! Just like its IMDB page the trailer for “The Tannery” gives nothing away. Like I said, I want to tell everyone I know about “The Tannery” but it’s a tricky thing to do without completely spoiling the film so I thought I’d do the next best thing. I tracked down Iain Gardner who made the film and I asked him a few questions and wouldn’t ya know it, he actually answered them! Q. Hello Iain! You’re from Edinburgh and I’m from Glasgow. Shouldn’t we be fighting each other in some bar somewhere? A. Probably best we take it outside. Q. I was lucky enough to have caught your short animation film “The Tannery” not once but twice in the wee hours on Channel 4. I was very impressed. How long did it take to put together? A. Uuuuuurgh. Months. 6 months of protracted development, and then 8-9 months in production. Actually, I’m foggy on how many months it took to actually make, as I became the walking dead myself in the process. Q. When and how did you come up with the idea for “The Tannery”? A. Drink. You get asked this question at Festivals, and I’m keen to build on my mythology that a bottle of wine started it, but I was drunk when I got thinking that there might be wee sad souls yearning for the furs that selfish arrogant vain humans wear. It was years ago – the film started as ‘The Fox Who Lost It’s Fur’ and was a much bigger, more epic, story but the practicalities of budget and time meant that the tone of my idea had to come across in a much simpler and shorter narrative – still, I constructed it in such a way that I may still be able to pick up the story where ‘The Tannery’ left off. Still can’t judge from audience reaction whether it’s worth mining that seam. Q. The film manages to be very charming, sinister, lovely and bleak all at once. Did you set out to shock? A. I certainly didn’t set out to shock, and fought hard not to do so – there were many script advisors attached to the film, and their main proclivity seemed to be gore and pain. No, I wanted to break people’s hearts! That was the main experiential emotion that I wanted to channel via animation. I’ve nothing against comedy in Animation, but the plasticity of the medium manages to trigger that reflex within the diaphragm that makes us laugh. Do you remember Bambi? Whether you love it or hate it, and my film similarly has its detractors, but that is animation at its most wonderful, when it engages your emotions and makes you cry. I’ve had a few reports of tears in audiences. Can’t please all the people all of the time, but mission accomplished. Q. The film certainly broke my heart and it’s refreshing to see a 2D animation film these days. How many artists worked on the film? A. I’d like to say one, because essentially it was a one man band. However, the wonderfully talented animator and illustrator Rachel Everitt assisted me throughout with rendering the artwork (not in the computer rendering sense, but in brandishing pencils and creating soft lines and shades, much as The Snowman was created), and a team of enthusiasts joined near the end to help animate the Hunter in his lodge (thank you Ulrike Keil), and additional support was volunteered from Andy Macpherson, Owen Rixon, Neil McDonald and David Bell. Not to mention the CGI team at world class Axis Animation, headed by Wiek Luijken with Drew Robertson, Stu Shapiro, Richard Clay and Dana Dorian. So with reference to the actual frames, I’d possibly claim 75% blood from my fingertips, and the rest shared with those 11 talented individuals – there’s also the musical talent led by composer Mick Cooke, and volunteers who helped scan the drawings into the computer. Q. How big a part did contemporary technology play in the making of the film? A. There was the CGI work done at Axis for a few moving backgrounds, and all the shots were composited in After Effects, with artwork scanned into Photoshop. But the performances were hand drawn, paper and pencil! Q. I’m starting to find big glossy Hollywood 3D animation productions almost…too glossy and perfect. What are your thoughts? A. Come and see the McLaren Animation at the Edinburgh Film Festival in June. You’ll enjoy that. And the International Animation programme. June 20th-1stJuly. Programme announced on the 30th May. But yes, there does need to be more variety in animated features, but sadly it’s dictated by box office. Rent ‘The Illusionist’ by Sylvain Chomet. Watch ‘101 Dalmatians’ again. Q. I write and illustrate a comic strip using a black biro pen and people continually tell me to employ software for a helping hand so that I can churn it all out quicker.I feel that the strip would loose any charm it may have if I did this. Do you have any advice? A. Follow your gut. Who are these people? Q. EXACTLY! What kind of things influence your work? I love Eastern European Animation – the fine art created by certain film makers within a certain period of time, not the ‘cooing’ mole we saw on telly in the seventies. Frederic Bac from Canada is an obvious inspiration to me (if you know his work). And I love Jiri Trnka, both as Film maker and Illustrator – it’s his centenary April 2012, check your local cinema (GFT?) and see if you can catch his stop motion films. 2014 will be Norman McLaren’s Centenary, he’s an inspiration – look out for events celebrating that also! Q. “The Tannery” is currently going around the World film circuit. Have you had any feedback from insomniacs like me who caught your film on Channel 4 in the wee wee hours ? These reactions probably say more about insomniac tweeters than the film though. Q. Do you happen to know if Channel 4 has any plans to run the film for a third time? A. Well, it’s been on four times, and if it’s on again I’ll need to check the broadcast agreement in place for the film! I’d love it to be aired when people are awake next time. It’s been sold to SBS Australia, and I’m hoping more territories will follow suit. Silent film is perfect for international audiences. END OF Q & A. Many thanks go to Iain for his talents and for taking the time to answer my questions. Look out for “The Tannery”. * Boris Karloff: “Tales Of The Frightened”. * 6 Films To Keep You Awake. * Thundercats & Jessica Rabbit’s Dress.